Enable/Disable the coupon request option for the selected product by the admin. Both registered and guest users can send request to admin. 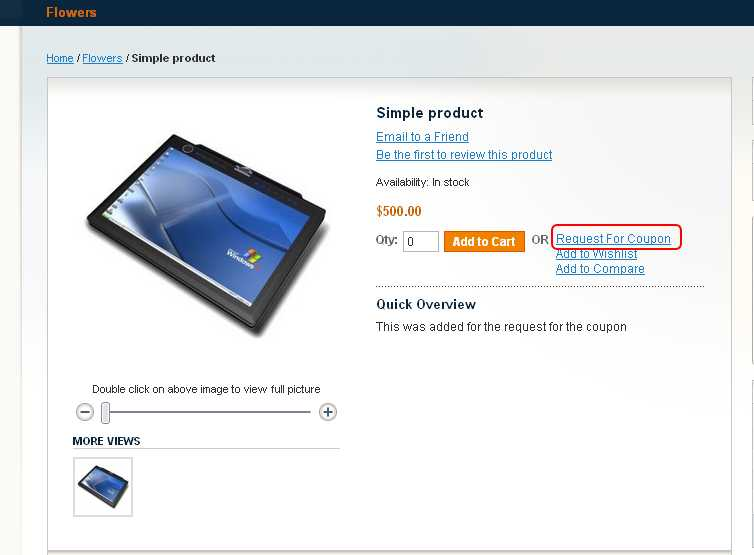 "Request for coupon" is available for product list page and view page. Offer discounts only to few customers who request for it. Declaring a general discount plan would be of high risk. Once done, bouncing back to normal prices could be hard if the discount time period is limited or your income is not comfortable. Uncertain pricing can not be trusted, and when prices are lower because of a discount, customers could get the opinion that you are able to produce the same quality of work for less money. If a current or potential customer thinks this, then convincing them to pay the full price will be difficult. To avoid this, you can use this Magento extension to provide discount only to customers who request for discount. 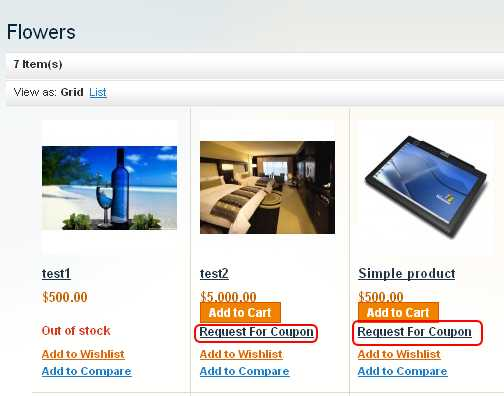 Once you install and activate this extension, the “Request for coupon” option will be displayed on products list page and product's details page. Your customers can request discount for a particular product by just filling his name and email. The admin will be alerted on the same and he could provide him a discount if he feels convenient. Request can send both registered and guest user to admin. Customer request and admin comment through mail process. It shows in the product list page and view page. 'Request For Coupon' is a Magento extension developed by Apptha. This extension lets you to offer discounts only to a selected customers, who have requested for it. Both guest users and registered users can send request for the discount. It is up to the admin to decide on the discount allowance for each customer. 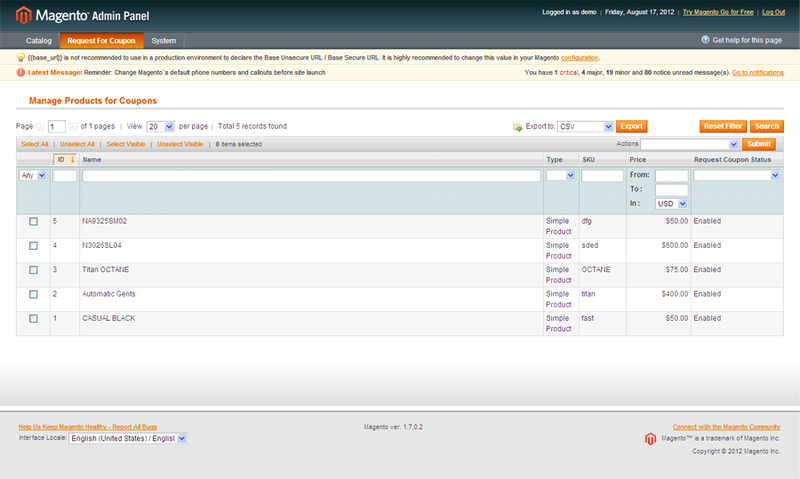 It is compatible with Magento 1.4.x, 1.5.x, 1.6.x and 1.7.x.